This year we’re extremely excited to pull the trigger on something we’ve wanted to do since we very first launched The Membership Guys back in 2015: running our own conference. 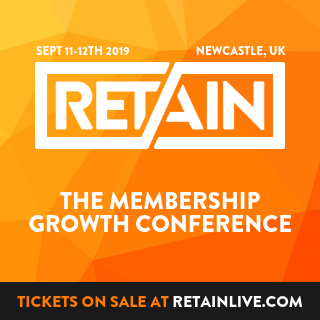 Retain Live is a 2-day live event for membership site owners taking place September 11th-12th 2019, and it’s shaping up to be an extremely special conference. It definitely helps that we’re pretty seasoned at attending events like this around the world, as we’ve been able to draw on what we’ve liked (and what we haven’t!) in order to help us design the type of event that we’d love to go to ourselves. However we know that many in our audience might not have been to a conference like Retain before, and as such perhaps you’re not sure what to expect, or can’t figure out whether it’s worth the time, money and energy to actually attend. After all, what can attending an event in person give you that watching a few videos online can’t? Well, the answer is – a lot! Chris Ducker refers to this as “Superhero Syndrome” – where you convince yourself that everything in your business rests on your shoulders; that you’re the only person who can possibly handle it all. You shouldn’t be trying to do everything yourself because it’s just not sustainable, especially as your membership grows. In this episode of The Membership Guys Podcast, I highlight 6 key areas of your membership business that you should look to outsource in order to free you up to focus on the things that only you can do. There are plenty of great things about the membership model – but member churn is not among them. Churn – the name given to the loss of paying members and subscribers – is something that you typically do not have to deal with or even contemplate with most other types of business models. And for some people, the mere concept of having to deal with churn is enough to put them off pursuing their membership idea. However these people are taking the wrong approach, and focusing on entirely the wrong thing. In this episode I dive deeper into misconceptions about churn, and talk about why ‘member lifetime value’ is the only thing that ultimately matters. Creating a membership is an exciting time. The creative juices are flowing, the sense of accomplishment from building and launching something new can be exhilarating, and there’s an undeniable buzz you get with every new member who joins. But what about 6 months down the line? 2 years? 10 years? Is that buzz still there? Does your membership still excite you? Or perhaps it’s started to feel like a chore? Maybe things haven’t gone as planned. Or maybe you’ve just become complacent. Whatever the cause, if you’re starting to feel weighed down by your membership then this can be the start of a very slippery slope. Check out this episode of The Membership Guys Podcast to find out how to prevent this from happening, and what you can do to turn things around if your membership is starting to feel like a burden. How Many People Can I Realistically Expect To Join My Membership? This is the ultimate “how long is a piece of string” question. There’s no exact science or specific formula that will accurately predict how many people are likely to join your membership. However when setting goals for the launch of a new membership site, or even the growth of an existing one, it’s useful to know whether your aspirations are realistic or just pure delusion! 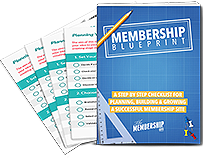 In this episode, I attempt to answer this unanswerable question, and give my “rule of thumb” guidance for predicting how many people you can realistically expect to join your membership. A clear understanding of what makes your audience tick is key to ensuring your marketing is on point. So often people forget this. They get swept up in the latest quick fix marketing tricks, Facebook ad hacks and flavour-of-the-month sales funnels that they ignore that the foundation of successful marketing is understanding your audience. Their pains, their problems, their motivations. This stuff isn’t difficult to zero in on. And in this week’s podcast, I discuss the 3 questions every single membership site owner should be asking, and what to do with the answers to improve both your marketing and your retention strategies. The most successful memberships are those that cater to a specific niche. Having a niche makes your offering more targeted, which increases the likelihood of someone identifying with the problem your membership solves. If you want to stand out from the crowd, you can’t just blend in with the crowd. You need to have a specialty. But how do you figure out your niche? And what happens once you’ve become successful in a specific area? Should you stay put, or expand your reach? I answer all of these questions and more on this episode of The Membership Guys Podcast. If you’re trying to make more money from your membership business there are two main ways you can go. One is to try to increase revenue from your existing membership site – and the other is to look at opportunities for offering additional products and services to your customers.